"I Love, love, love, this utility apron. Perfect for teachers, crafters, gardeners, vendors, sewers, homemakers, children's church music leaders and so many more. 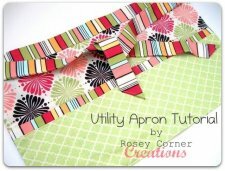 "How do I use my utility apron? When I'm cleaning up around the house one pocket is for little trash bits, one pocket is for things that need to go in another room, a smaller pocket on the side is for my phone and there are a couple more pockets for pens. Perfect! "How does my sister use her apron? She's a first grade teacher. She carries extra scissors, tape, markers, stamps, all those little things teachers always need to have on hand. 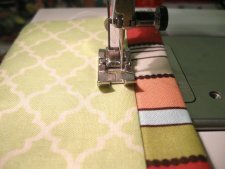 "How will you use your utility apron?!!!"